I’ve been sculpting over 50 yrs. I started by carving faces into my mother’s broom handles, but when I kept cutting myself my father suggested clay or a softer stone. I’ve worked in stone, wood , plaster, copper and bronze . I enjoy working on detailed historical bronze, though I also love figurative abstract. I also paint I use oil... l love the challenge of portraiture. Tyler Briley was born in Leamington, Ontario and moved with his family to Scarborough shortly after his birth. 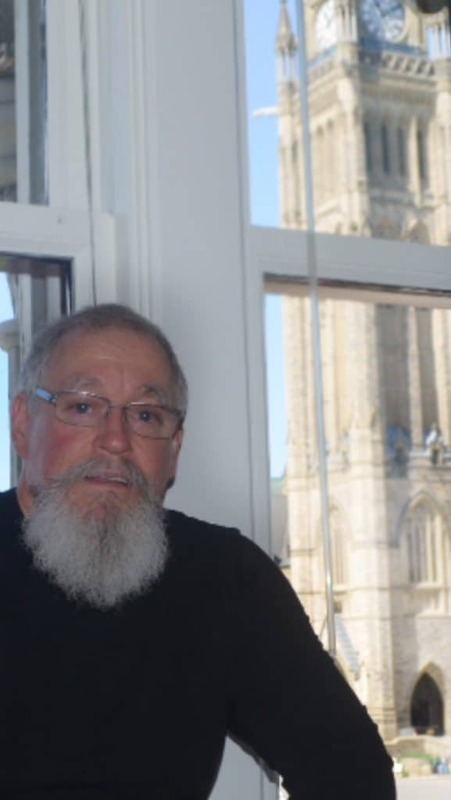 He lived there for the next 30 years and worked as a fire-fighter in the Scarborough Fire Department. He would sculpt in his spare time in his studio in Port Perry. Never formally trained, Tyler's career as a sculptor began when he started carving faces on his mother's broom handle at the age of six. although his mother told him not to carve the broom handle anymore, he sneaked it outside and continued the carving process. Unfortunately, his hand slipped and his knife cut through to the bone on his index finger. He was so frightened he held his finger for an hour before his father noticed. Numerous stitches were needed to close the cut. Thereafter, on his father's advice, the young sculptor switched to carving in several types of soft stone and clay. Over time, Tyler learned the techniques of 'lost wax casting' and graduated to creating bronze sculptures. 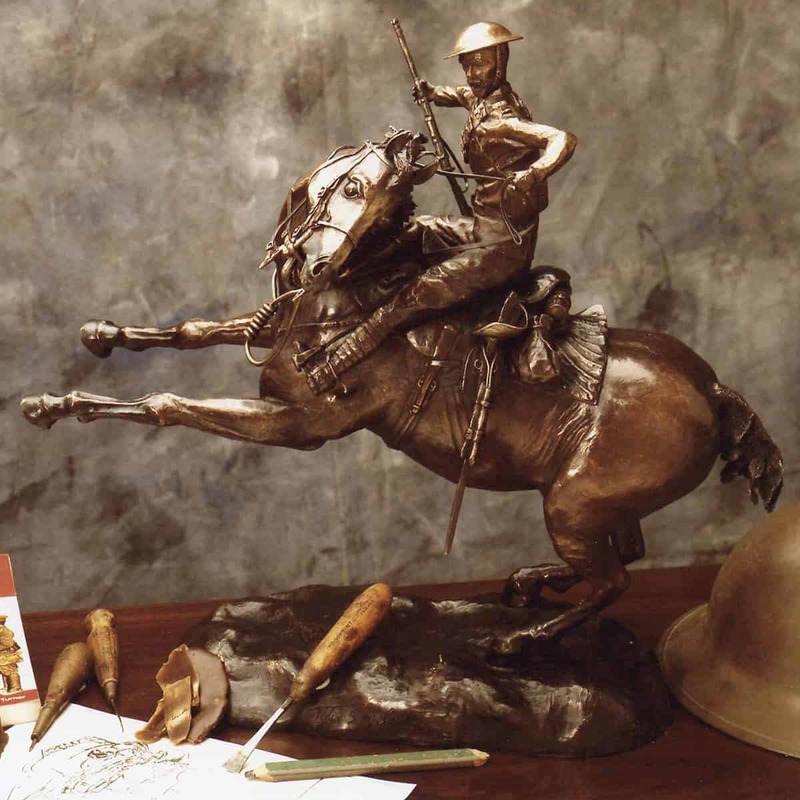 One of his most famous works, a bronze military statue depicting his grandfather, William Briley, in British cavalry uniform seated on his horse, was purchased by the National War Museum in Ottawa. They appraised its value at $45,000. The work developed from a postcard his grandfather had made of himself during World War I. The statue with its many intricate details took up to a year to complete. Tyler Briley was also commissioned by General Motors of Canada to create the permanent award for their Corvette Challenge racing series. Another of his works, a red-tailed hawk carved out of a 400 pound slab of soapstone, was used as a fundraiser for the ornithological wing of the Royal Ontario Museum. 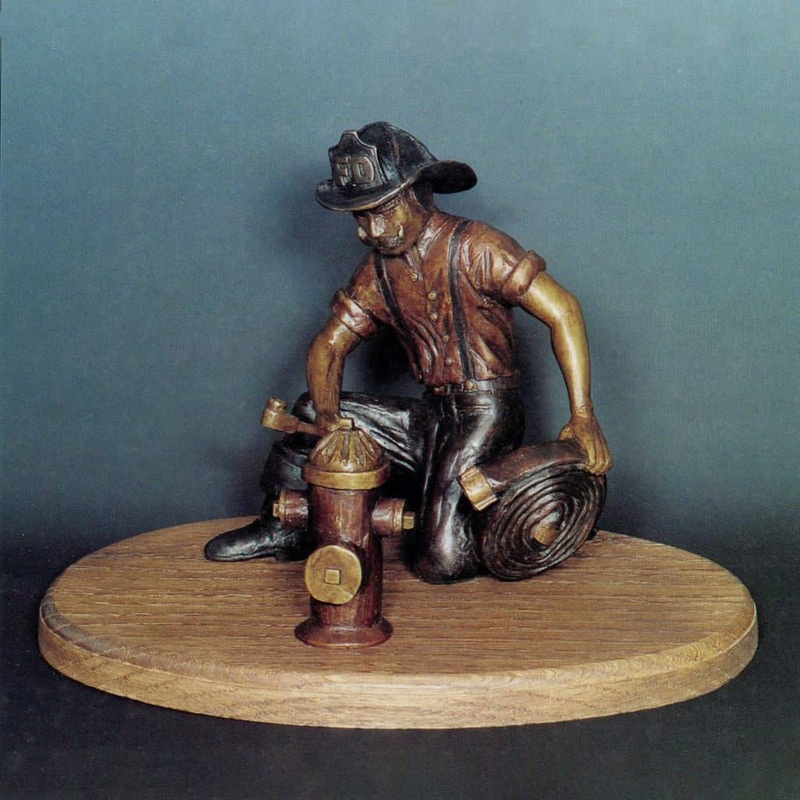 Several of his works depict fire-fighters in various aspects of their work. One of these on the theme "A Job Well Done" is presented to retiring fire-fighters in Scarborough and other areas. 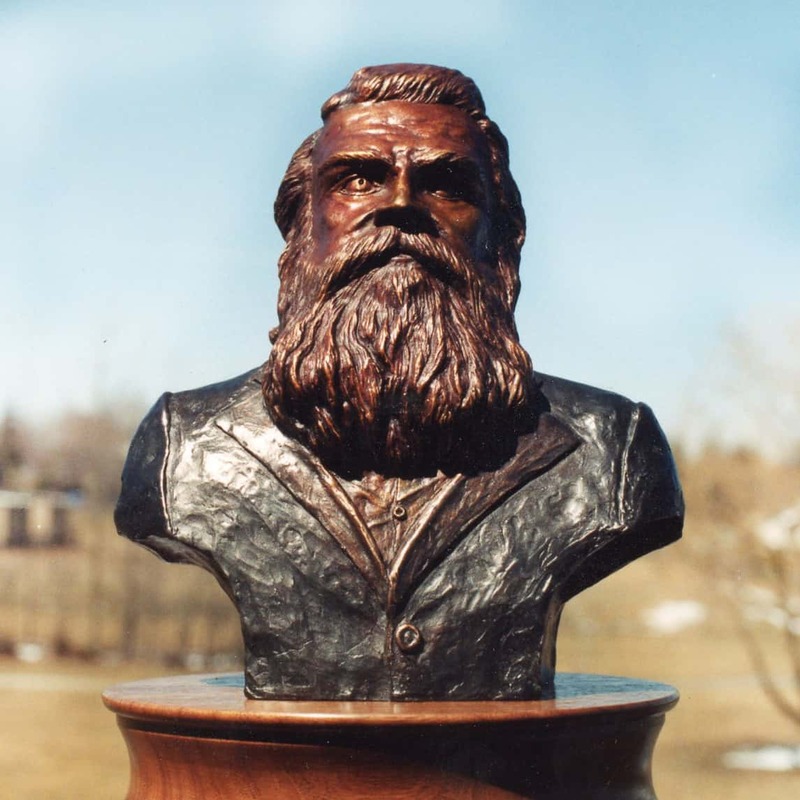 A 25cm bust of Daniel David Palmer, the founder of chiropractic, sits in the town of Port Perry, another of Briley's pieces. Another of Briley's commissions sits in the Parliament Buildings in Ottawa. The work was commissioned by the Government of Canada to commemorate Lt-Col Sam Sharpe, an Uxbridge lawyer and MP who became so deeply affected by the loss of lives during the First World War that he died by suicide after his return to Canada. 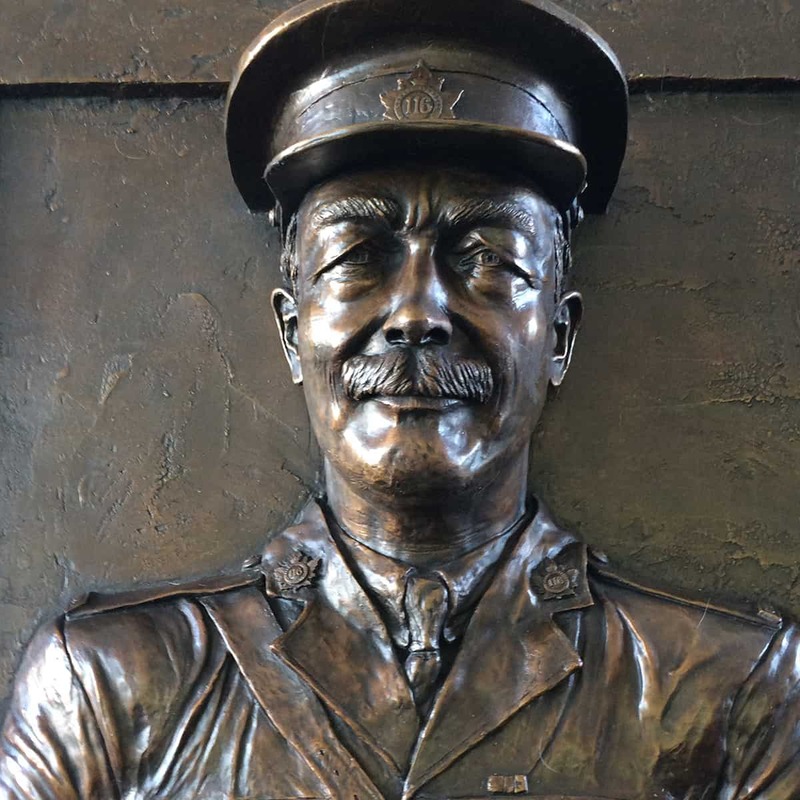 The sculpture will finally recognize Lt-Col Sharpe as an MP who died due to war injuries. It was an emotional piece for Briley to work on as he knew all too well the effects of PTSD from his time as a fire-fighter on the recovery truck with Scarborough Fire Department. 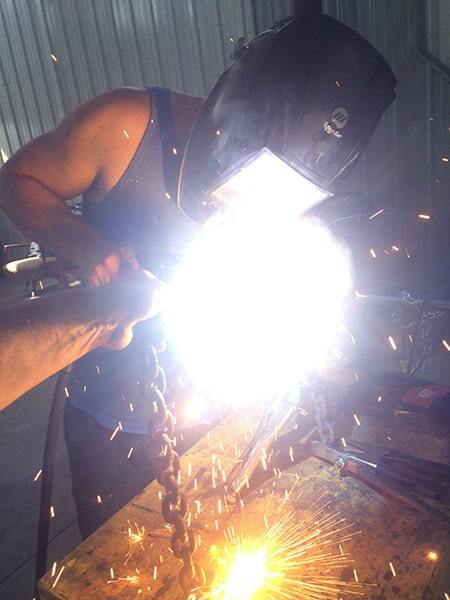 Tyler Briley lives and works in the small town of Port Perry, Ontario. To talk to Tyler about his work or to commission a piece please contact him. "Nothing is too big or too small!"